Feeling confused or frustrated about how to improve your swimming? Head in a total spin? Feel like you are suffering from an acute case of "information overload"? From how I see things, it's not surprising really. 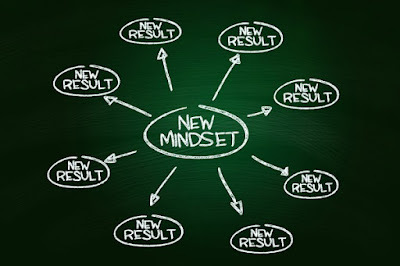 More and more I'm seeing hugely frustrated swimmers who are being held back in their training and racing because of their mindset. In fact, the more swimmers I work with day to day the more I see a trend of people setting themselves up for failure before they've even got in the pool or open water. This is largely due to what I call their "swimming mindset" being out of sync. Mentally they are stuck in a world of confusion or negativity and more often than not both. What makes this worse is they can't see it themselves. Triathletes love to accumulate volume and numbers, they are also prepared to work extremely hard at both the technical and physical side of swimming. But one of the most important elements that they continually neglected is the psychological aspect - put this in the right place and anything is possible. More and more I find myself spending a large amount of time counselling swimmers to help put them in the right place mentally. This is critical because the mental drives the physical, once you understand this and embrace it, it can be like finding that magic bullet to help take you forwards. The fact that so much information is readily available on the internet is a double-edged sword, it has helped a lot of swimmers but when used incorrectly it has also done a lot to harm swimmers. I regularly see swimmers whose brains have been overloaded with so much misinformation they don't know whether they are coming or going with their swim training. This leads to huge frustration, which will completely inhibit their progress. With motivated athletes it's usually not for a lack of trying. The main three reasons I see swimmers being held back are because of the way they think, what they've been taught and by what they've read. This can be from poor coaching advice or poorly written swim articles. It's incredibly difficult for swimmers to know how to filter the good advice from the bad advice and they invariably end up getting it wrong. Each athlete has their own individual make up which needs addressing and my job as a coach is to help them work that out. Coaching is about helping athletes believe in themselves and what they are truly capable of, but frequently I see swimmers being held back by having no self-belief whatsoever. Their minds have been completely shackled by what they've taken in and huge mental barriers have been created. This mind set is called "closed loop" thinking. Many athletes are stuck in a rut of doing the same thing time and time again and getting the same results. Progress is limited and they hugely frustrated by the time and effort they are putting in. I always say when you do what you always do, you will only get what you always get. You have to be prepared to open that loop and embrace new ideas and methods that will carry you forwards. Sometimes you might have to take a few wrong turns to find the right path but ultimately the key to success is being prepared to make mistakes along the way. Not enough people are prepared to take the risk of failing, in fact they are almost paralysed by the fear of failure. They see it as weakness, but this couldn't be further from the truth. Making a mistake presents the perfect opportunity to learn and do things better next time, the more mistakes you make the higher the chances of you eventually finding success. A good coaching relationship is worth its weight in gold, so spend time trying to find the right kind of coach for you. A good coach will take the time and effort to get to know you as a person both from the mental, physical and technical side of things. Belief in your coach is also crucial so get recommendations and check their track records. They should have a strong background in open water swim training and a very clear understanding of what it takes to swim well in it. If you are prepared to make the investment in coaching, you need to make sure you've found the right fit for you. A good coach will work out where you have been, where you want to get to and what might be holding you back. The path they create forwards for you will then be so much clearer. Meet your fears head on. Every athlete I've ever worked with has fears, right from beginner through to Pro. I consider it a huge privilege when athletes are prepared to open up and talk about their fears with me, it shows they are human but it also shows they are open to being helped. Once they let you in, it is far easier to help progress them forwards and address their issues. Don't see fear as a sign of weakness. Accept it, meet it head on, its part of the process of becoming a fitter, stronger athlete and every athlete needs to face their fears continually to keep moving forwards. 3: Find The Enjoyment - Have Fun! You need to find the fun in your swimming, if you don't enjoy going to the pool then you are never going to get the most out if it. Fun can be found in squad swimming, creative progressive training plans and swimming with friends. If you're stuck in a rut then you need to break out and do something different. Belief is crucial to performance, this is developed over time through many stages, you don't hold all the cards when you start off so be prepared to work at it. Through racing, training, experimenting and learning you will slowly start to put the self-belief jigsaw puzzle together. You're not suddenly born with self-belief in place, think of it as something you nurture and let grow over time through experiences. An effective progressive plan is crucial for continuous development. Don't keep doing the same thing each time you get in the pool. Any plan should keep building and moving you forwards based on your currently level of fitness and ability. It should also be creative and fun, and keep challenging you in new ways. If there's one word I find myself repeating over and over again to my athletes, it is to be "consistent'. If you want to know the secret magic bullet that will make you the fittest athlete you can be, this is it. By consistency I'm referring to the building of training each week over an extended period of time. This builds huge self-confidence to know you put the work in. If I can get any athlete to swim 3 times per week for 16 weeks continuously I can promise you that that swimmer will be the fittest they've ever been. Rarely does this happen though. If you don't use it you lose it, and the pool can be a very unforgiving place when you spend too much time out of it. Prioritise consistency in your training and I can guarantee you will see some magic start to happen. All too often I see swimmers who will consistently stay in their comfort zone. There's nothing wrong with repetition, in fact this should be embraced in swimming but repetition without overload won't help you break down any physical or mental barriers. I frequently introduce what I call "breakthrough sessions" to all my athletes and squads training to purposely test their mental and physical resolve. This takes them out of their comfort zone and shows them they are actually capable of a lot more than they ever believed. 9: Get Out There And RACE! There is nothing that comes close to a better form of mental and physical training than racing, it's that time to put yourself out there and test your limits. The problem I see with far too many athletes is they seem to continually want to wait for the perfect moment in time to put themselves into a race situation. Use races to build fitness to your A races, there is no perfect moment to race and sometimes the best races come when you least expect them! The more you race the more you learn about yourself and the more you will start to break down both physical and mental barriers. 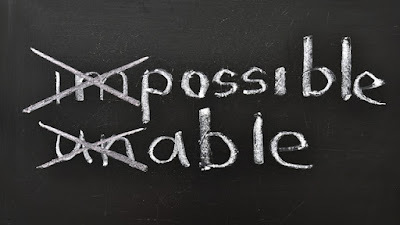 If you are thinking negatively about a training session or an up and coming race then you are already setting yourself up for failure, you've essentially fallen at the first hurdle. It never ceases to amaze me how much negativity I hear when I ask swimmers to talk me through an up and coming training session or race. Its so much more beneficial to imagine how you would like the perfect race to feel or even a great quality training session. Programme yourself to relish the challenge rather than fear it and approach it with a new more positive mindset. All of these elements above can of course be applied in the same way to both biking and running. To keep progressing as an athlete you have to be prepared to think outside of the box and do new things in new ways. 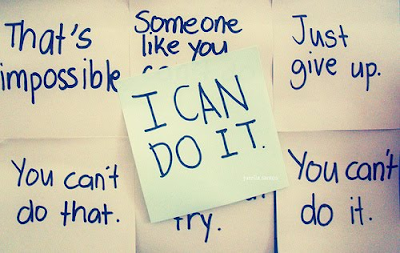 It doesn't matter what your ability is, to get good at endurance sport you need a strong mind to drive the body. So work on your mental skills and thought processes frequently - your mind is amazing tool so learn to use it, it's hugely trainable. When you can wield its power in the right way you might be really surprised at what starts to happen. In our sixth and final part in our Swim Type series, we look at the famous Smooth Swim Type, those brilliant performers in the water that many swimmers aspire to imitate. Smooths make look near 'perfect' when they swim but being a Smooth is not without its challenges, as we'll outline below! Swim Type Profile 6: Motivating The Smooth! Smooths are always competent, stylish swimmers and have a significant swimming background as a child. Instantly recognisable in the water, they travel quickly and smoothly, and seemingly effortlessly, through the water. As any Smooth will tell you though, this is something of an illusion and there is actually plenty of effort going into their stroke. Natural sprinters, Smooths always have great pool skills such as dives, turns and underwater work. They are talented, adaptable athletes who tend to be good at any sport they to turn their hand to. Notice the classic high elbow over the water with the fingertips passing very low to the water. 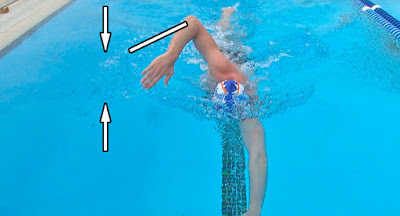 If you have enough flexibility to do this, a high elbow recovery can work well in flat pool swimming conditions but in open water, swimming close to other swimmers, this can be a problem as the low hand tends to catch waves and chop on the surface. This is not as straight as a เกมยิงปลา HappyFishingSwinger might take the arm but is just enough to give a little more clearance over the surface. The push from their kick helps them develop that long stroke that they are famous for. 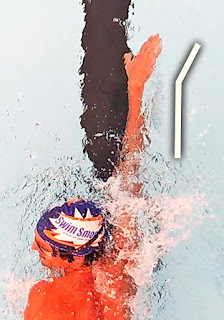 Many Overgliders have tried to combine a long stroke with a slower 2-beat kick but this is nearly always a mistake. If you're an Overglider and you want to be Smooth (we're sure you do!) then try using a light 6 beat flutter instead. This won't use much energy (your legs will quickly get used to it) and it will lift you higher in the water, saving you much more in reducing drag than you are expending in kicking. Look carefully at the timing of the stroke. As one stroke finishes at the rear, the next stroke immediately starts at the front. Smooths may look like they are gliding down the pool but this is in fact an illusion, they move continuously from one stroke to the next as they swim, and so should you! Ian's talking about deliberately taking fewer strokes per lap during a technique set but the interesting point here is that when swimming in a race he actually takes 32 strokes per 50m. A full 10-12 strokes more than he could if he wanted to! Great swimmers haven't maximised their stroke length at all, they've found the right stroke length for them. In this position it should be fingers should be pointing straight down the pool. Turning outwards like this acts to drop the elbow during the catch. When coaching Smooths, one theme that comes up time and time again is the tendency to feel a little demotivated or uninspired about their swimming. They're great swimmers (and they know it) but they often feel they have nothing to prove and lack that drive to train hard. So a key focus when coaching Smooths needs to be to create goals and challenges that fire them up. 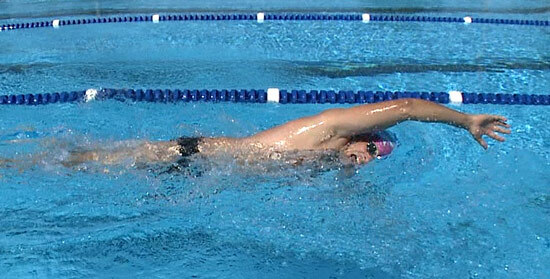 This could be training using some different types of session in the pool than they are used to, or moving from racing in the pool to the open water - presenting new stroke technique and tactical challenges for them to adapt to. Typical speed range: 3:40 to 5:40 for 400m. Likes: Technique sets with lots of variety. Loves: Sprinting with lots of recovery! Learning style: Highly proprioceptive and adaptive, Smooths only have to be shown something once to fix it. 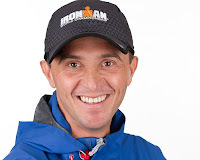 We call our Smooth development process "Motivating The Smooth" because as well as giving their stroke a little tune-up, we also focus on inspiring Smooths with some new challenges and to show how to go about transitioning to being brilliant open water swimmers.